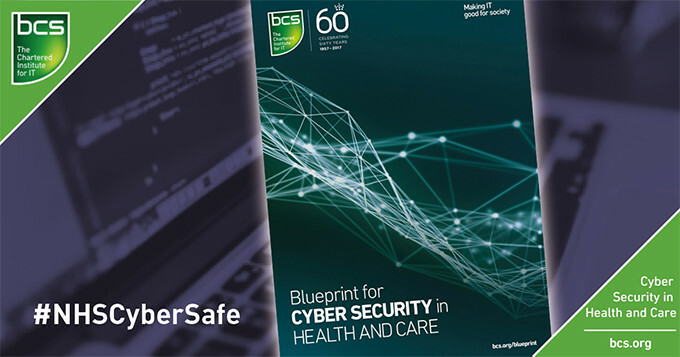 Science Council member BCS, The Chartered Institute for IT has joined forces with the Patients Association, Royal College of Nursing and others to produce a Blueprint outlining the steps NHS trusts should take to minimise the effects of another crippling cyber-attack. The Science Council welcomes the ‘Blueprint For Cyber Security in Health and Care’ – released today – which claims a lack of accountability and investment in cyber-security measures are partly responsible for the recent Wannacry virus that hit NHS IT systems last month. For more information visit www.bcs.org/blueprint.